This graphic is from the webpage of NYC's coolest shop, Evolution, in Soho. 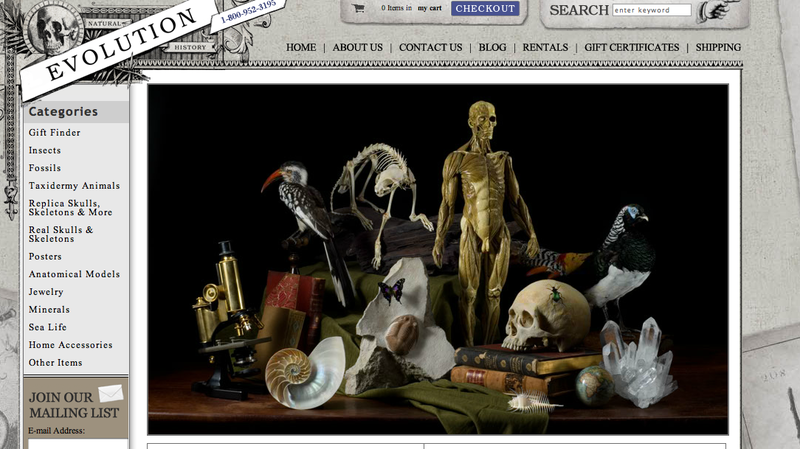 The best place to shop for all your shark embryo, squirrel skull, dead mounted butterfly and shark tooth needs. Very cool place in which to have a stroll. 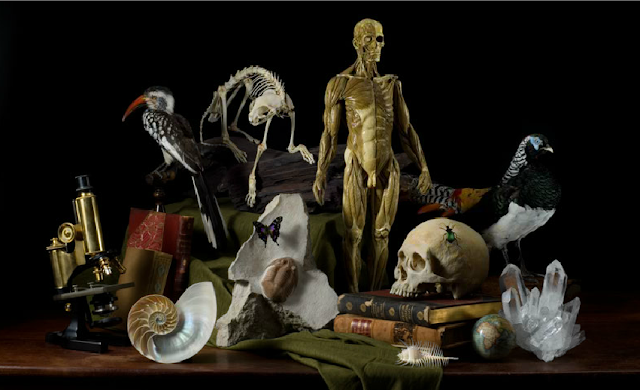 Some of the objects in the posting below (Ye old Natural History Museum in Bird Cage) came from Evolution, including the skull (carved antler bone), the petrified pygmy sea horse, the shells and the star fish. I went to the shop last week seeking tiny tropical fish suspended in resin, but they were fresh out. Seems like you can't get good simple fish suspended in resin anymore in this city. Sigh.